Twenty-five years ago when I applied for a mortgage on my first home purchase, I had no idea what my credit score was. Even if I had wanted to know my score, there was no official way to find it out. Now services like Borrowell and Credit Karma provide easy access to your credit report and show you a credit score that is similar to the Beacon score that is used for most mortgage applications. The standard threshold is a gross debt service (GDS) ratio of 35% and a total debt service (TDS) ratio of 42%. The maximum threshold is a GDS ratio of 39% and a TDS ratio of 44% (recommended minimum credit score of 680). For most mortgage lenders, there is no benefit to improving your score beyond 700. The only exception to that I'm aware of is TD, where their typical threshold for their FlexLine HELOC requires a score of 730. When it comes to improving credit, one of the better guides I've found is published by the Financial Consumer Agency of Canada. While the guide is a good place to start, there are a few important things it doesn't mention that can have a big impact on your credit score. The easiest and quickest way for most people to improve their credit score is by optimizing utilization. While most guides and blogs will recommend a maximum overall utilization of 30-35%, I think there is too little emphasis on the importance of utilization on each card. I'll use an example of someone with two credit cards, one with a $3,000 limit, and another with a $7,000 limit. Using the full $3,000 limit on the first card and $500 on the second will result in a much lower score than having $1,000 on the first card and $2,500 on the second. In both cases the overall utilization is the same 35%, but when a card is at or very near the limit, your score will be significantly impacted. If you are a financially-prudent person who never gets in debt, usually paying with cash or debit and saving your credit card for emergencies, you may be surprised to find you have a low credit score. That's because your score is based primarily on how you've used the credit you have. If you never used your credit in the past, it's harder to predict how you'll use it in the future. So if you have a couple of credit cards, it's best to use them at least once before you apply for a mortgage. 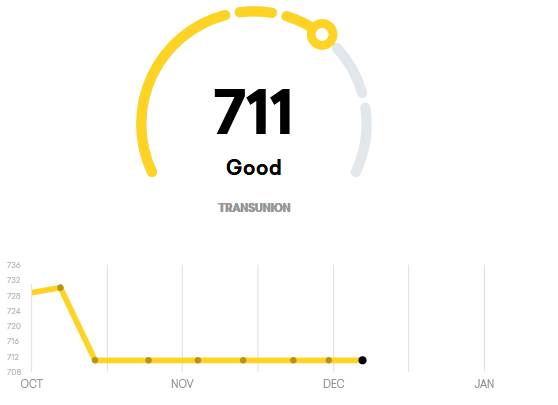 Having a small balance (<10% of your limit) on your credit report is actually better for your score than a $0 balance. I often read recommendations to build credit using secured credit cards. I would only recommend a secured card for people that can't get approved for a Walmart or Canadian Tire Mastercard. I've read lots of reports from people with scores below 600 that have been approved for them. If your score is below 550, I'd first try applying for a monthly cellphone plan. Even people with a score between 500 and 550 can often get approved for at least one line, and once that gets reported to the credit bureau for a couple months your score should go up enough to get approved for an unsecured credit card. One last tip for people that don't already have an installment loan on their credit report is to apply for a small RRSP loan. I recently tested this theory with Tangerine where I've had a chequing account for over a year. I applied for a loan of under $500 and was approved without a hard hit to my credit bureau. Within a month the installment loan showed up on my credit report. I think it is more important to tweak your score today than it was in years past. That's because mortgage underwriting has become more automated and involves less discretion than it used to. If you know how to arrange your finances to optimize your score before you apply for a mortgage, then you can reduce the chances of being declined or having to persuade the lender to make an exception to their normal rules. I got my fist mortgage over 20 years ago, and at the time I was only concerned about two things - term length and rate. I hadn't heard about HELOCs, and my mortgage broker did not discuss portability, prepayment penalties, debt service ratios, or my credit score. Even today, my experience is that only a minority of mortgage advisors will get into those details, or discuss the difference between a conventional and collateral charge. So in this post I'll discuss some of those details and explain why you may want to pay attention to them. The subject of collateral charges has been given some attention in the media in the past few years, and most of what I've read has been negative. I don't think collateral charges are a necessarily a bad thing, and sometimes a collateral charge is better than a conventional charge. Technically the difference between a collateral charge and a conventional charge has to do with how the mortgage is registered in the provincial land titles registry. From a borrower's perspective, the primary difference is that a collateral charge can be used to secure additional loans such as a HELOC, a personal loan, or even a credit card. Some people suggest that collateral charges are readvanceable, but that is not always true. Specifically, it depends on how the lender requires the collateral charge to be registered. 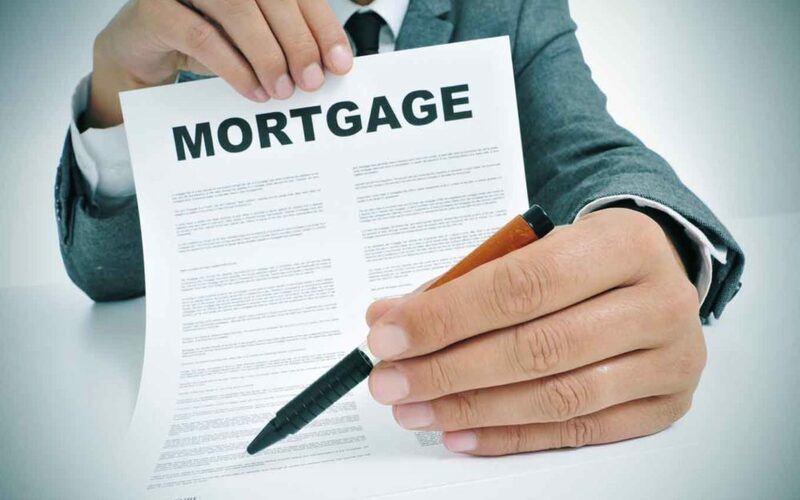 BMO, with their ReadiLine product, instructs lawyers to register the collateral charge for the initial principal amount of the mortgage, which means additional borrowing requires a new mortgage registration and the associated legal fees. Scotia, when the mortgage is under their STEP product, does not specify an amount, which means it is readvanceable. I'm informed that TD registers the charge with an amount that exceeds the mortgage principal, which means it is also readvanceable, at least up to that amount. The argument that a conventional charge is better because it allows you to switch lenders without incurring the legal costs of a discharge and new registration is also not entirely true. In a recent conversation with a "Premier Relationship Manager" at HSBC, I was told that they will not take an assignment of another lender's mortgage, even when it is a conventional charge. I suspect HSBC is not the only lender that wants to ensure that their specific mortgage terms are registered on title when they lend. I think a readvanceable mortgage is worth considering when you intend to purchase and renovate a property. While an unsecured line of credit would be an option, they generally have an interest rate that is 1-2% higher than a secured line of credit (HELOC) that you can add to a collateral mortgage. Portability is another mortgage feature that most borrowers should pay attention to. If you sell your house before your mortgage term is up, you can take out a mortgage for an equal amount on your new property and avoid prepayment charges. While most mortgages are portable, I recently found out that Scotia's "value" mortgages are not. When discussing the mortgage terms with your lender, I suggest asking them to show you the contract clauses that specify the details such as portability and prepayment options. Since most mortgage contracts are boilerplate documents that have clauses covering every different mortgage the lender offers, I'd even ask your lender to initial beside the clauses that apply to your mortgage. Also, have your lawyer confirm the detail when you meet with them, as your lender could make a mistake in the documents and instructions that are sent to your lawyer. I considered trying to explain mortgage prepayment penalties and interest rate differentials, but that's a topic only an accountant can find exciting. If you choose a variable rate mortgage, it's simple because the prepayment penalty is always three months' interest. If you are inclined to choose a 5-year fixed rate mortgage, I suggest giving serious consideration to a 4-year fixed instead. When you do the math, prepayment penalties on a 5-year fixed mortgage can often be double the penalties on 4-year fixed. Most people that have a mortgage know that interest rates have been going up over the last year and a half. And some people with a mortgage may have heard about the B-20 rule changes that tighten mortgage qualification requirements. 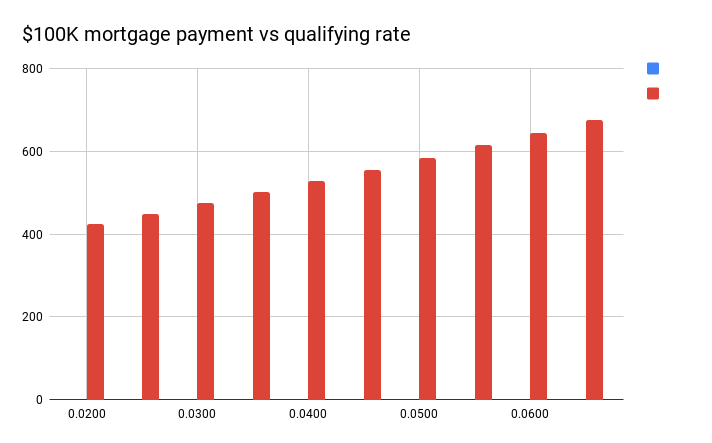 However I don't think most homeowners understand how much these changes have increased the qualifying payment, which in turn significantly reduces the mortgage they can qualify for when buying a new home. Two years ago, 5-year fixed mortgage rates were as low as 2%, and the monthly payment for a $100K mortgage was $424. Now 5-year fixed rates are around 3.5%, and the qualifying rate would be 5.5% (3.5% + 2%). The qualifying payment for a $100K mortgage at 5.5% is now 45% higher at $614/mth. In terms of the house you can afford, in an extreme case of a family without any other debt service costs like a car payment, if you could afford a $500K mortgage before, now you can get a $350K mortgage. Most families will now have to set their sights at least 25% lower than 2 years ago. With more interest rate hikes likely coming, things will continue to get worse, although we are much closer to the end of interest rate hikes than the beginning. Even if you weren't planning on moving into a bigger house, there will still be an impact due to downward pressures on housing prices. That's because housing prices tend to go down as interest rates go up. When fewer families can afford a $500,000 home, builders will make less of them. When families move they will buy a less expensive house because they won't be able to qualify for a mortgage as big as they used to. I don't think the impact on home prices over the next few years will be significant, with prices in most markets dropping by about 5%. Where I think the biggest negative impact will be is in the real estate industry, with fewer homes being bought and sold. For some people, like landlords, reductions in housing affordability is actually good news. One of my tenants told me their plan is to buy a house in about a year. However they had never heard about B-20, and had not met with a bank or mortgage broker to get an idea of what they can afford. With more first-time buyers having to wait longer in order to pay down debts and save for bigger down payments, demand for rental properties should remain strong. When I first became a landlord over 20 years ago, I was not focused on maximizing profits. I had other business interests, and I saw real estate as a reasonably safe and stable investment. While renting the units did not give a large return on investment, selling them a couple years before the real estate peak in 2001 made for some healthy capital gains. When I decided to go back to being a landlord a few years ago, I did it with no expectation of getting lucky again and riding a wave of appreciating real estate values. What I mean by a "small" landlord is no more than 10 houses for rent. That limit comes from the maximum number of residential mortgages banks will give a landlord. BMO and Scotia have a limit of 10, while the limit at RBC is only 6. Once you go over that limit, you'll only be able to get commercial mortgages, which will have a much higher interest rate than a residential mortgage. My first piece of advice is something that applies to most business endeavors, not just property rentals. I find many people in business are too focused on growing revenue instead of reducing costs. 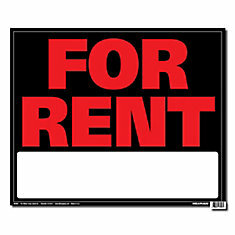 I find it is easier to find a way to save $20 a month than it is to get $20 more in rent for a property. For example, saving 0.2% on a $120,000 mortgage is $20 per month. Rental mortgages are complicated, so the trouble of shopping around for the best rate may not seem worth it for a $20 monthly savings. However, once you find a lender that can give you the best rate on one of your mortgages, they'll often be able to give you the best rate on your other mortgages as well. When you are mortgage shopping, I recommend dealing with branch staff rather than brokers or bank mortgage specialists. The reason is that the job of brokers and mortgage specialists is to bring in new clients. Once you want to renew or make changes to your mortgage, you'll have to work with branch staff that will first have to get up to speed on your file. My wife and I recently saved over $1000 through working with a financial services manager at BMO. He noticed that we had a 5-year variable rate mortgage at prime - 0.5% with 4 years left. BMO was offering a special rate of prime - 1%, and our BMO rep had calculated that with the lower rate we would save more than the 3-month interest penalty by renewing early. Another expense that can vary greatly for landlords insurance. Until recently our rental properties were insured by Pembridge under a residential policy along with our home and vehicles. Most insurers have a limit of 4 or 5 rental properties before you have to go with a commercial policy. At first it looked like we would have to pay a bit more for commercial insurance, but after a lot of shopping around we were able to find a commercial policy for less than what we were paying Pembridge. With Pembridge, the cost of the insurance with a $5,000 deductible was around 0.3% of the building replacement value, so insurance on a $200,000 property was about $600/yr. Our commercial Actual Cash Value policy is only 0.21% of the insured value, with an additional separate charge for commercial general liability. Overall, it's about 10% cheaper than what we were paying under a residential policy. Probably the most important thing a landlord does is screen tenants. One bad tenant can turn a profitable rental business into the red. It's also something that is probably as much art as it is science. It should be clear that just looking for "nice" tenants is not a good idea. You could end up with a professional tenant. I find the best indicator of a tenant's reliability is their work history. If they have been working full time for several years at the same company, they'll probably make a good tenant. I ask for both work and previous landlord references, and will ask their boss specific questions that indicate reliability, such as the last time they were late for work. Don't ask past landlords if they were a "good tenant", ask specific questions like if they ever paid their rent late, or if they even paid their rent early. I don't waste money on screening services that charge to do credit checks on prospective tenants. A bad tenant can have a great credit score, and a great tenant can have a bad credit score. Many people don't realize that something as simple as refusing to pay for a cell phone billing error and switching to a new provider could take your credit score from good to poor if your old provider sends your disputed bill to collections. Sure, they aren't supposed to send a disputed bill to collections, but you probably even have a friend or two that has had it happen to them. My last piece of advice for small landlords is to stay out of the big markets like Toronto and Vancouver. The return on investment for a condo in downtown Toronto will be much less than a couple townhomes in Oshawa. Some investors think a downtown condo is a safer investment than a residential property in a small city. Other investors like the idea of having a place in a big city where they can stay for short visits and rent out the rest of the time. Whatever the reason, if you look at reports on rental investment returns across the country, cities like Toronto and Vancouver are consistently at the bottom of the list, while places like Halifax and London are near the top. As for what you can expect for investment returns, 10% is a reasonable target. That is based on putting 20% down, a mortgage with an interest rate of 3%, and a 1-2% vacancy rate. If you are handy and can do maintenance like painting and minor plumbing repairs yourself, investment returns of 15% are achievable. Returns of over 20% can even be made if you are in a market where you can purchase properties in need of repair that you fix up and rent. Flipping houses may seem like the glamorous thing to do from today's TV shows, but buying that fixer-upper and renting it will make you more money in the long run. The chart above is from the Bank of Canada's daily digest page, which shows the interest rate that is used for qualifying for most mortgage loans through Canadian banks. What it means is that you need enough income to pay a 4.99% mortgage, even if the bank is offering you an interest rate of 2.99. The exception to this is for people with at least 20% down taking out a mortgage with a fixed term of at least five years. The new B-20 rules remove this exception, and will require every mortgage loan from a Canadian federally-regulated bank to test the borrower's ability to pay an interest rate that is the greater of the contract rate plus 2% or the posted qualifying rate. The first tip is one that has already been mentioned in some financial papers, and that is to go with a 30-year amortization instead of 25. That change will decrease your monthly mortgage payment by about 8%. A 35-year amortization would reduce the monthly mortgage payment even more, but it's hard to find banks that still offer 35-year amortizations. The next suggestion I have for improving your chances to qualify for a larger mortgage will help even if the B-20 rules don't apply to you, and that's ensuring the bank is using the correct numbers to calculate your debt service ratios. I mentioned debt service ratios (DSR) in an earlier post, and listed a few things that lenders use in their formulas. Since the formulas tend to be complicated, lenders usually will not sit down and review the numbers they are using with borrowers. They'll pull many of the numbers from the borrower's credit bureau file, and for other numbers they'll use standard assumptions. For responsible borrowers that pay their bills in full every month, the most significant and incorrect assumption lenders make is that you don't pay all your credit card bills. They assume you'll make payments of 3% per month, and they'll add that 3% to your monthly debt service costs. That means if your last credit card statement was $5000, the lender will add $150 to your monthly debt service costs. If your last two or three statements show the balance always paid in full, that should be enough to satisfy your lender. Another common item that adds to debt service costs are vehicle loans. If you have a car loan that is almost paid off, paying it off early could allow you to qualify for an additional $10,000 or more on your mortgage. If you've co-signed on a vehicle loan for a family member, the lender will use the full loan payment amount in your DSR calculations, even if the vehicle owner always makes the payments. If the family member can re-qualify without a co-signer (or get someone else to co-sign), then you can qualify for a larger mortgage. If you are receiving spousal or child support, ask your lender if they include that in your income. You'll likely need to provide them with a copy of a court order to prove not only the amount you are receiving, but also to prove that the payments are enforceable in the event your former partner stops. The last suggestion is a general one to verify the numbers that your lender is using. In fact, even before applying for a mortgage, I recommend checking your credit report for errors and getting them fixed. When you do apply, verify all the assumptions the lender is making are correct. Some lenders assume average monthly heating costs of $100-$150. That might be reasonable for an older house in PEI heated with electric baseboard, but not for a newer energy-efficient home in Alberta where natural gas prices are close to the lowest in North America. In my post on residential mortgages, debt service calculations for an owner's primary residence were relatively simple to explain. With rental properties, just trying to understand debt service calculations for can be quite perplexing. And even if you can understand the calculations, there are quirks in the formulas that don't seem to make much sense. At least lenders tend to use the same GDS and TDS limits for rental properties as they do for a primary residence. For GDS that is 32-35%, and 42-44% for TDS. Unlike the rules for CMHC-insured mortgages, these debt service limits can be exceeded depending on the overall strength of the application. I'll start with the calculations for someone making their first rental property purchase. BMO, CIBC, and Scotia all seem to follow CMHC's rules for calculating GDS, even though CMHC does not insure single-unit rental properties. This means that to calculate Gross Debt Service ratio, half of the rental income will be added to the purchaser's income, then the principal and interest will be divided by that sum. To calculate Total Debt Service ratio, it is necessary to add the purchaser's other debt service costs, such as primary residence mortgage payment and car loan. In the spreadsheet above (google docs link) I've done the calculations for someone making a salary of $50,000 per year, with principal, interest, and taxes on their home of $850 per month, and no other debt service costs. The rental property is being purchased for $200,000, and it rents for $1400 per month with all utilities paid by the tenant. The results indicate a very low GDS of 19%, and a modest TDS of 36%. Once more than one rental property is involved, the calculations become much more complicated. Most lenders use a rental offset calculation for the rental properties you already own, while some (like CIBC) will use Debt Service Coverage Ratio. Rather than explain the full details here, this Moneysense article does a good job explaining the two. The spreadsheet above shows a second rental property mortgage for $160,000 with the same $1400 in monthly rent. The 50% rental offset used by Scotiabank results in a slight increase in TDS from 36% to 38%. BMO uses a more generous 85% rental offset, which results in a reduced TDS of 34%. Finally, I'll show how the ratios change for purchasing a 2-unit rental property with a mortgage of $320,000 instead of purchasing two single-unit properties. If you expect the ratios to be similar, you are in for a surprise. The GDS has increased from 19% to 33%, and the TDS has gone up to 48%, well above the limits of any banks. Unless I've made a mistake in my calculations, this means that it is much easier to get two mortgages for $160,000 than it is to get one mortgage for $320,000. I'd expect banks to prefer one mortgage for $320,000, since processing and administering two mortgages is a lot more work for them. I doubt lenders will change their rules for debt service calculations, since it is a lot easier for investors to purchase their properties one unit at a time than it is for a large bank to change their underwriting rules. 2017-10-02 Update: I had a conversation with a Scotiabank home financing advisor, and found out that they don't count taxes in their rental offset calculations. That means the TDS when purchasing the 2nd rental unit would be 36% instead of 38%. 2017-11-18 Update: A TD mortgage advisor recently informed me that they, like CIBC, use a Debt Service Coverage Ratio. Almost everyone who buys a house in Canada takes out a mortgage. Most people, however, don't understand how lenders calculate how much you can borrow, and a large number of people don't even shop around for the best mortgage rate. I'll explain in simple terms how to calculate how much you can borrow, and how to get a good rate. 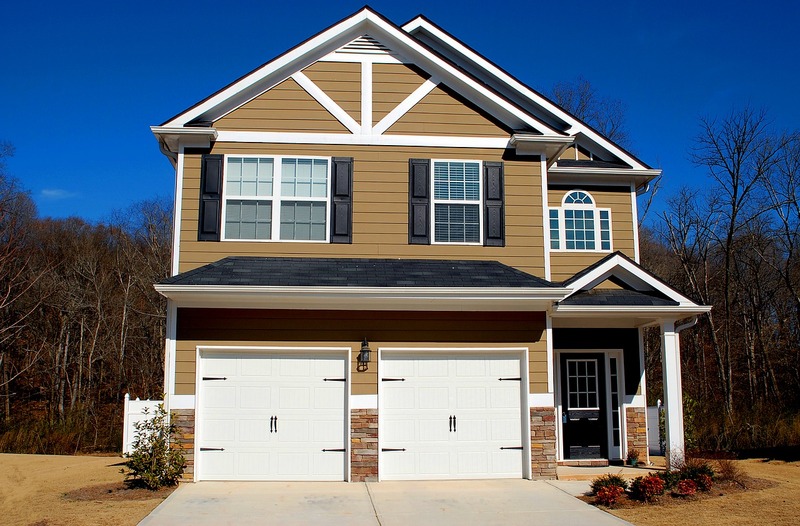 Lenders use formulas to calculate debt service ratios from your housing costs and your income. 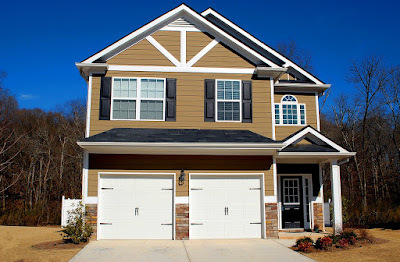 The housing costs lenders look at are your mortgage payment, your property taxes, and sometimes heating. Lenders require the housing costs to be less than about a third of your gross (before tax) income. With a bit more math, you can calculate how much of a mortgage you can get based on your income. In general, that will be about four and a half times your income, or close to five times your income with some lenders if you have very good credit. In other words, a single person making $40,000 per year would be able to borrow between $180,000 and $200,000. Ten years ago I used to recommend people looking for a good rate on their mortgage deal with a mortgage broker. The brokers could check with the big five banks and other lenders to find the best rates. Now CIBC and BMO do not work with brokers, and Scotia sometimes will not offer their best deals through a broker. Therefore I recommend going to three of the big banks when shopping for a mortgage, and try to find someone that does a lot of mortgages, since they are usually the ones who know how to get the best rates. Also disclose the fact that you are shopping for the best rate and will be applying at one or two other banks. If you don't tell the lender that you expect a great rate, you probably won't get it. Ask local real estate agents, lawyers, or financially astute friends who they recommend for getting the best rates on a mortgage. Mortgage comparison sites can be helpful too, however most of them are really advertisement sites that only show paid listings. One site I trust is Rate Spy, which doesn't restrict its mortgage listings. For people who are putting less than 20% down and therefore need mortgage insurance, I still recommend using the services of a good broker (although finding a good broker can be a bit difficult). In the last couple years non-bank lenders have started offering better rates on insured mortgages because of the lower risk to the lender when mortgage is insured against default. Many of these non-bank lenders only work through brokers, hence the need to use the services of a broker. Brokers and credit unions are also the best option for people with below average credit that may not be able to qualify for a mortgage at the big banks. For people who want more specific advise, I recommend applying with BMO and Scotiabank and asking for their best rate on a 2 year fixed mortgage. Over the past year, at least where I live in Nova Scotia, they have had the best mortgage deals. Even when TD or Royal has had lower advertised special rates, BMO or Scotia have been able to beat them. Don't apply to just one of them, since sometimes BMO will offer rates that Scotia can't beat, and sometimes Scotia will offer rates BMO can't beat.